I enjoy making this list just after Christmas because this is the time of year when people get generous and give me books, gift cards to bookstores, or both. 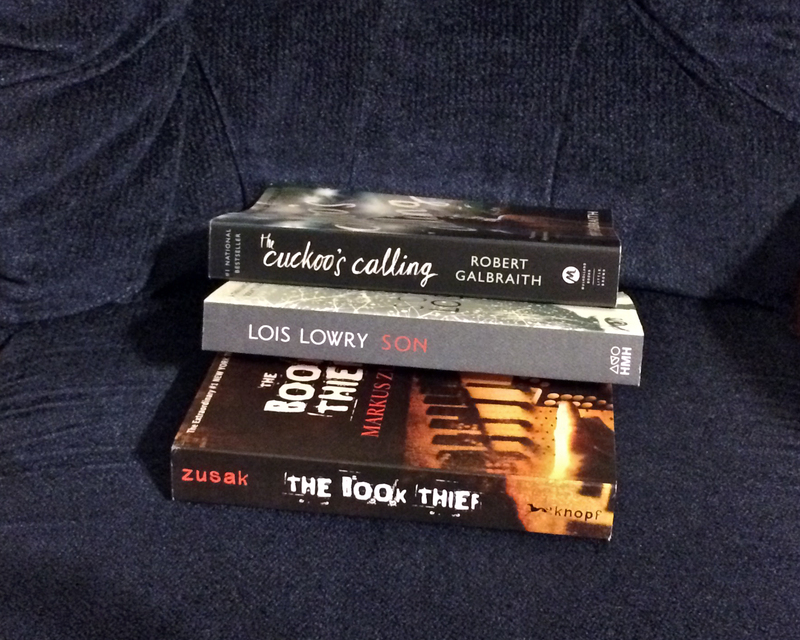 This year being no exception, I am prepared to meet 2015 with lots of new fiction. First of all, I am going to vow right now that 2015 will be the year that I finish Christopher Paolini’s Inheritance Cycle. It’s been on my list two years now, and I just can’t leave those books hanging any longer. The first three are slow-paced, but my husband assures me that the last one really picks up, so I’m just going to knuckle down and read them. A wonderful thing that’s happened in the past few months is that my first grader has gotten into chapter books. It wasn’t until he was almost six that we realized that he has several learning disabilities, and he’s a poor audio learner, so reading books without pictures went right over his head. But since we’ve been helping him with his working memory and dyslexia, I’ve noticed a huge improvement in his reading ability and comprehension. This summer, I plan to start reading Harry Potter to Peter, and I hope he gets as much joy out of that series as I do. 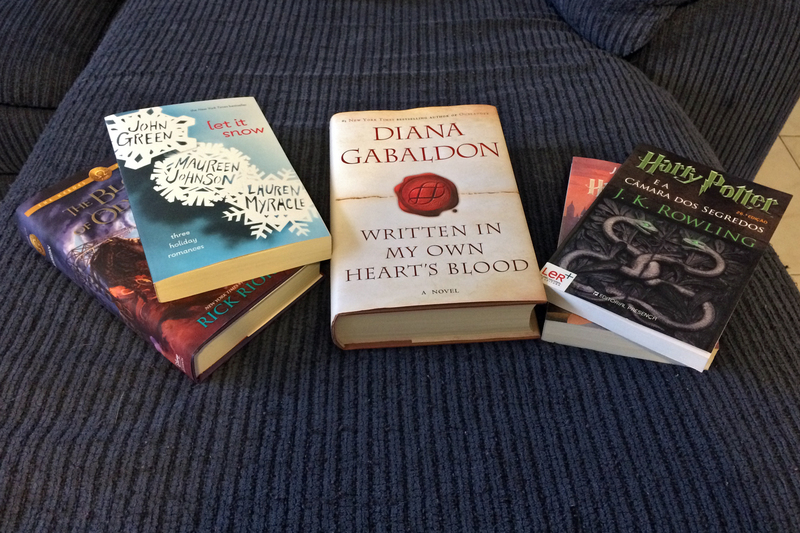 This entry was posted in Odds and Ends and tagged Book List, Books, Christopher Paolini, Diana Gabaldon, Divergent, Harry Potter, John Green, Novels, Reading, Stephen King, The Hunger Games. That’s quite a list! I’m glad this works for you. For me, I think it would turn reading into a chore instead of a pleasure. I’d be thinking about crossing things off the list instead of just getting lost in them. Good luck with your list –and your serendipitous adventures.